River Cruises are increasing in popularity. Whilst the majority of River Cruises are on European Waterways more exotic destinations are becoming available. Ships can be luxurious but are smaller than their ocean sailing cousins. However; you will not suffer seasickness on River Cruises! All food is usually included in your cruise but additional entertainment is usually low-key. The destinations are the entertainment here. Some operators offer completely all-inclusive cruises with excursions, tips & drinks being included. Cabins are usually smaller than on an Ocean Ship & ship designs are not always well suited for those with mobility issues. The attraction of a river cruise is the port-intensive itineraries. Ships will visit a new port every day and sometimes even 2. Generally, these ships are not geared towards family vacations. Whilst many cruises will allow children on board there are usually limited facilities. One noted exception is Adventures by Disney which offer family cruises on European waterways. Disney has partnered with AmaWaterways to offer these cruises. 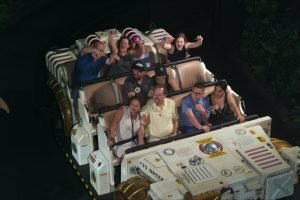 However, whilst these are family-orientated vacations they are only for children over 4 and you will not find the Kid’s Clubs like on a Disney Cruise Ship. Our ship tour is of MS Thomas Hardy. 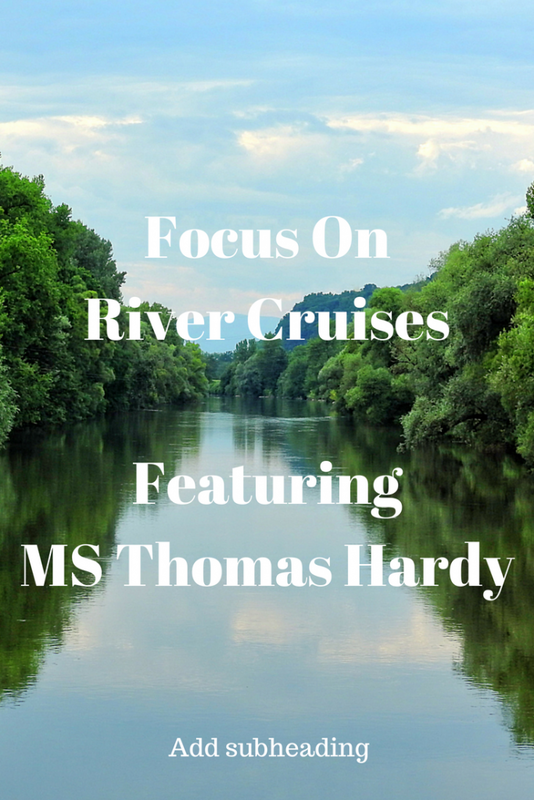 MS Thomas Hardy from Riviera Travel offers River Cruises in Europe and was launched in 2017. The 169-passenger Thomas Hardy entered service with Riviera Travel in April 2017 It joined sister ships Emily Bronte and Oscar Wilde as part of the line’s expanding river fleet. Offering increasingly popular river cruises in Europe. There are 86 all-suite cabins on the ship. Facilities include 2 restaurants, a bar, fitness studio, a hair salon and nail bar, a boutique shop, a small splash pool, a mini-putting green and sun loungers. There is plenty of space to sit out on deck. Have you been on any River Cruises? We are particularly interested to hear from anyone who has sailed with kids. Leave a comment below about your experiences.